Highland councillors on the north planning committee found themselves at loggerheads as they weighed up whether to grant planning permission for houses on in-bye land deemed capable of cultivation by the Crofting Commission. 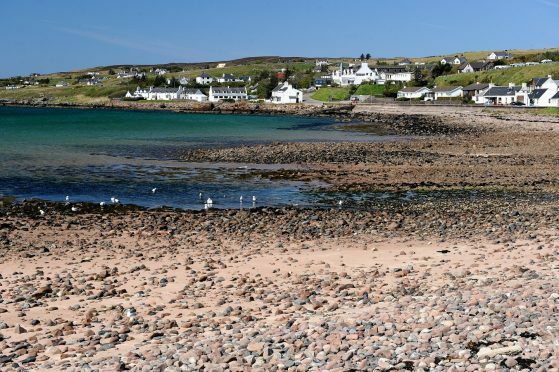 Some councillors decided the need for houses in west coast villages trumped the need to protect in-bye land, while others, in an almost even split, said the land needed to be protected in the interests of sustaining crofting. The councillors were considering applications for houses on in-bye land in Gairloch and Kylerhea. The Crofting Commission, a statutory consultee, advised in both cases that the land in question was of a quality suitable for grassland, a valuable and finite resource within crofting system. She said: “Crofts were given to servicemen when they came home from war, but nowadays they can’t make a living out of them, they’re too small. “I sympathise with those who want to live in the west coast and have little parcels of land. “Tourism is what’s sustainable now. Councillors overturned planners’ recommendation to refuse the application by eight votes to seven. In the second application, councillors went with the recommendation to refuse permission for a house in Kylerhea because there was scope to put the house elsewhere on poorer land. Afterwards, a furious Kirsteen Currie, councillor for North, West and Central Sutherland said: “There is a real demand and need for land to be made available, particularly for young people, to be able to create a sustainable life for themselves in remote and rural communities. “I’m utterly dismayed at some of the comments that were made during such an important debate.